Although I identify as a vegetarian, I enjoy a meat cheat day every once in awhile. When I eat meat I want it to be worth it. I want good quality, great taste and an explosion of flavor. 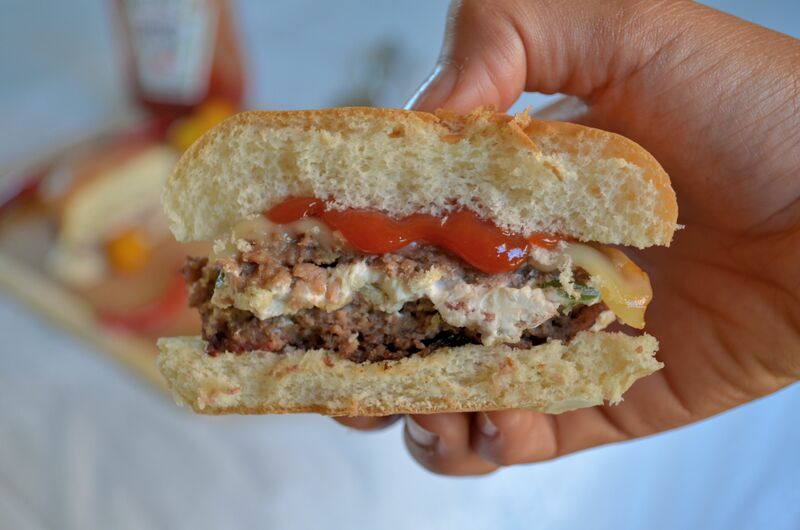 Stuffed hamburgers are one of my favorites. I have been known to stuff them with blue cheese (did not go over well with the hubs), American cheese, and many other ingredients. My favorite way to stuff them? I like it spicy. These burgers pack a punch. 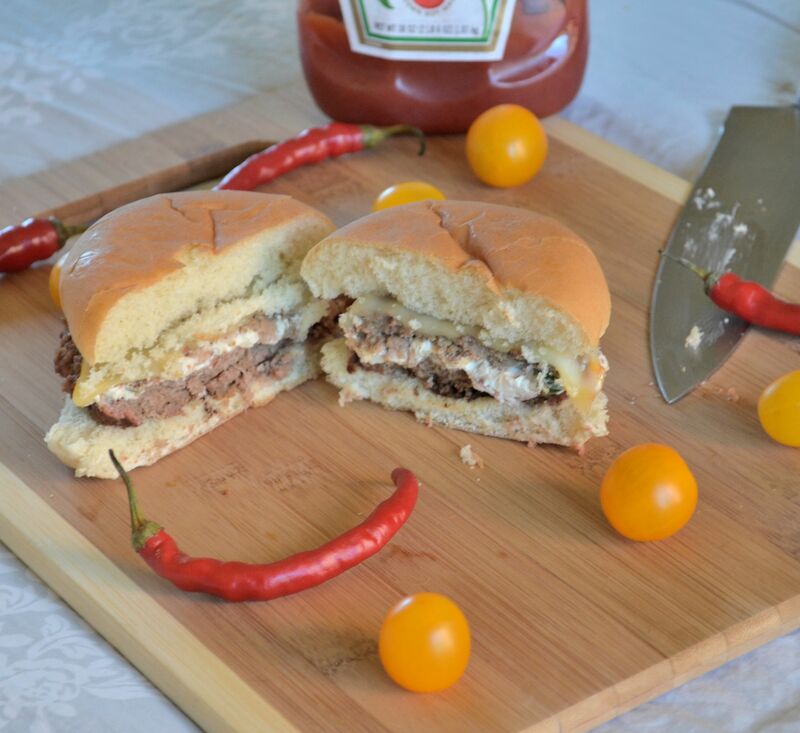 They are the best of both guilty pleasures: jalapeno poppers and burgers. When fresh off the stove or grill, they spread world peace. They are the ultimate comfort and happy food. 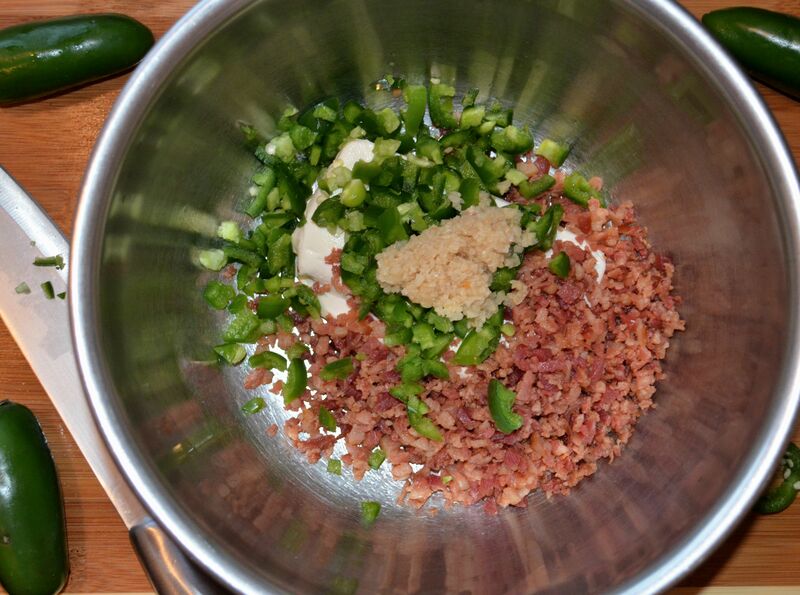 In a large bowl mix all of the ingredients by hand for the burger meat. In another bowl, use a spoon to mix the ingredients for the stuffing. Take a small spoonful of burger meat and shape into a thin patty. Repeat until you have 16 thin patties. Spoon about a tablespoon or two on 8 patties and spread evenly with the middle having a little more. Top the 8 patties with the stuffing with the remaining 8 patties. Cook however you like. We grilled ours but I have made them in the oven, on a skillet and on cast iron before. Looks delicious, I bet it tastes even better! Oh myyyyyyyyyy. This looks super yummy!! I am going to try and make this over the weekend. My son and I absolutely love, love burgers. I am going to make it in a skillet. Please stop back and let me know how you and your son like them! I will for sure. I will report to you on Monday. Haha. I am going to make them for lunch on Sunday.